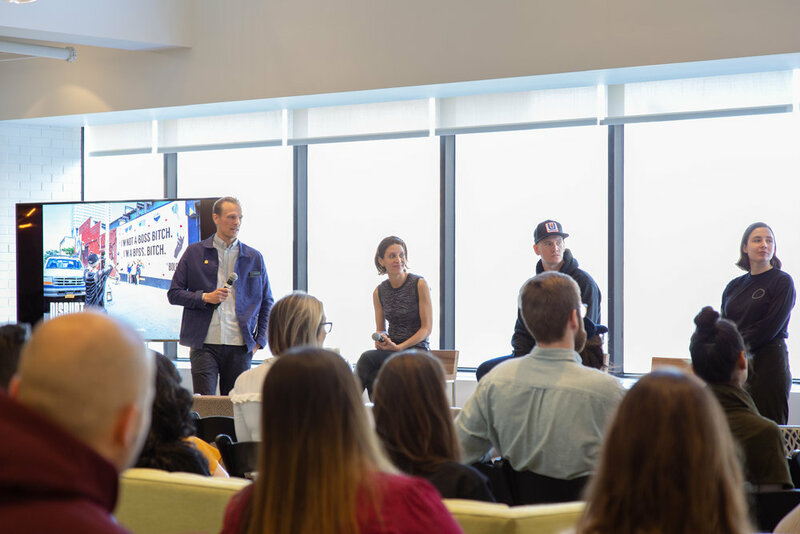 Colossal Media joined us last week for our most recent Good Morning McCann. The company, a global leader of hand painted outdoor advertising, talked about their creative capabilities, campaigns they are most proud of and what a day in the life of a Colossal painter is like. Colossal Media was founded in 2004 and has grown into a trusted creative partner for many of the world’s largest brands, agencies, and artists. Their memorable hand-painted campaigns build curiosity and excitement through creative storytelling and they continue to redefine and elevate the out of home (OOH) experience. Colossal Media’s headquarters are located in Williamsburg, Brooklyn, and they have a second shop in Los Angeles, California. They hand paint over 500 murals a year on approximately 150 walls across the United States. The company’s mission is focused on their love for art, which they believe helps make the ads they create naturally authentic. Colossal has five main core offerings and values. First, they like to “build museums”. These are permanent art installations that anchor neighborhoods. One example is along the High Line where Colossal has featured work from world renowned artists Barbara Kruger, Ed Ruscha and Kerry James Marshall. Second, they are storytellers. The hand-painting process is slow and methodical, but their murals tell a story. Thirdly, they humanize advertising with their work being tangible and almost primal. Fourth, they disrupt. Bold artwork becomes the background for shareable moments. And lastly, they activate. This is when painted walls become social media magnets. Even though Colossal’s paintings create attention, buzz and engagements, the company always recommends the campaign should be coupled with a digital component. This allows the consumer to further interact with the brand in a meaningful way.